which is considered by most experts as a self-perpetuating irreversible process. 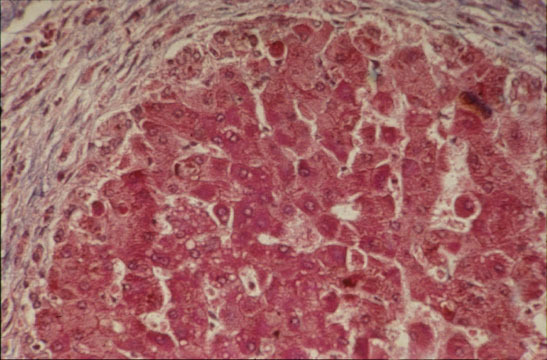 Regenerative nodules may form in the fibrous septa but they are not necessary for the histological diagnosis of cirrhosis: as nodules alone without fibrosis do not constitute cirrhosis. 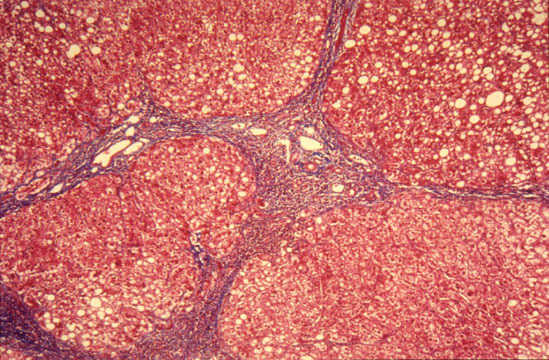 In this disease, the nodularity of the liver is mostly the result of fibrosis dissecting the parenchyma in small uniform acinar or subacinar nodules in micronodular types and in lobular and plurilobular large non-uniform nodules in macronodular forms. Regenerative nodules develop in the midst of scars but are a late phenomenon. They are important, however, for the advancement and neoplastic transformation of the cirrhosis. 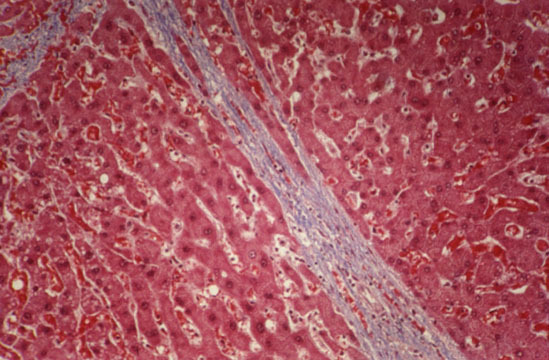 Grossly, with the naked eye, a cirrhotic liver appears nodular, "hub-nailed", on the external surface and nodular on the cut surface. Variation in size, color, shape and consistency is relevant and may help in the identification of the etiology. The liver is usually indurated shrunken and yellowish-tan but it may be enlarged and yellow as in alcoholic fatty cirrhosis, rusty as in hemochromatosis or large and green as in biliary obstruction. 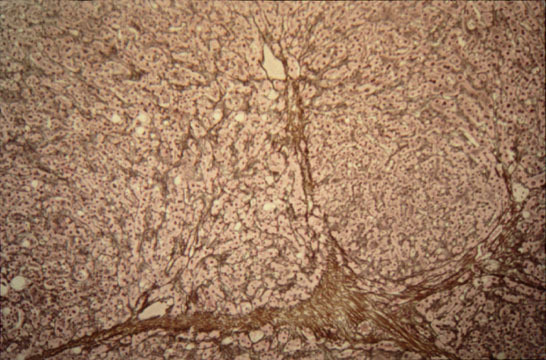 It is usually the privilege of the surgeon to inspect the liver in vivo, therefore he must acquaint himself with the gross changes of cirrhosis and develop the ability of detecting discolorations of possible neoplastic nodules in order to obtain adequate samples for histological examination. Fig.77 - MICRONDULAR CIRRHOSIS: Small rather uniform 2m nodules seperated by thin fibroussepta usually due to a chemicalagent as alcohol which diffuseuniformly throught the liver. 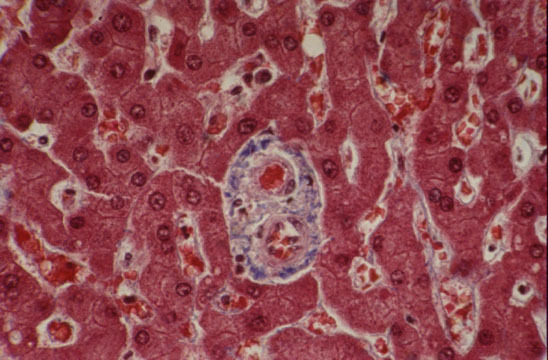 Fig.78 - MACRONODULAR CIRRHOSIS: Larger nodules separated by wider scars and irregularly distributed throughout the liver usually due to an infectious agent such as viral hepatitis which does not diffuse uniformly throughout the liver. Presence of nodules and fibrous septa with effacement of the lobular architecture. The nodules are of two types: Dissection type and Hyperplastic Regenerative type. contain remnants of portal tracts an central veins. are separated by wide scars but contain thin fibrous septa. contain dilated sinusoids especially at their periphery looking like multiple central veins obviously produced by the inflow of arterial blood coming from the surrounding wide scars. the portal tracts within large nodules may be hypoplastic containing portal venule and arteriole but no bile ducts giving the impression of a disappearing bile duct disorder. within wide scars regenerative nodules may develop. Fig.79a - HYPOPLASTIC PORTAL FIELD: In a dissecting nodule. Notice presence of portal vein, portal artery but no bile duct.This case was interpreted as "vanishing duct syndrome". these occur in micro and macro nodular cirrhosis. they arise in the midst of scars favored by the rich arterial blood of scar tissue. they are round nodules with a fibrous pseudo capsule with bile ductules due to obstruction of bile flow. they have embryonal type of cell plates, two cells thick, "twinning of cell plates". nuclei are aligned at the sinusoidal pole of the plates. they often show focal cholestasis. they may undergo dysplastic and malignant changes. they compress the vessels of the capsule contributing to the perpetuation of the cirrhosis. Are, with nodules, the other characteristic component of cirrhosis and they are visible even with the naked eye. They have been termed "fibro-vascular membranes" which provide a diversion of the blood flow through an alternative route along these fibrous septa instead of through the acinar sinusoids, thus affecting the physiology of the hepatocytes (Rappaport AM et al. virchows Archiv. A402:107-137, 1983). The fibrous septa are basically granulation tissue more or less active according to the degree of edema, capillarization, inflammatory cell infiltration and fibrosis. They reflect the activity of the cirrhotic process. 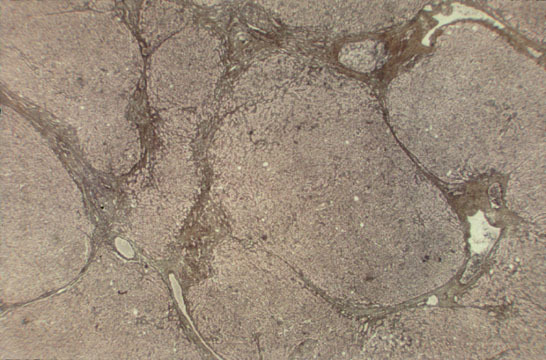 Fig.81 - PASSIVE SEPTA: Slender connective tissue bands containing few chronic inflammatory cells and sharp demarcation with parenchymal liver tissue. 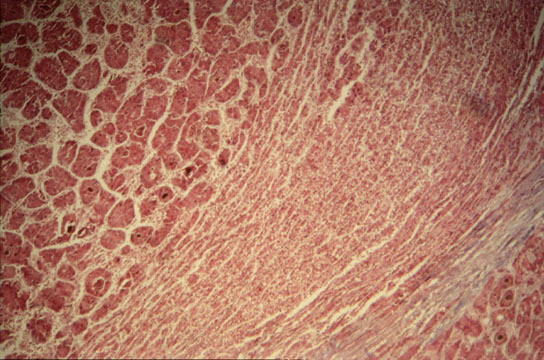 Fig.82 - ACTIVE SEPTA: Thick connective tissue bands containing edema, many chronic inflammatory cells and irregular demarcation with the parenchymal liver tissue. Fig.83 - INCOMPLETE SEPTAL CIRRHOSIS: Presence of very slender septa radiating from enlarged fields toward the center of the lobule. There are distended efferent vessels around the septum. This type of cirrhosis produces only portal hypertension and no liver failure. The prognosis is very good if the portal hypertension is controlled. 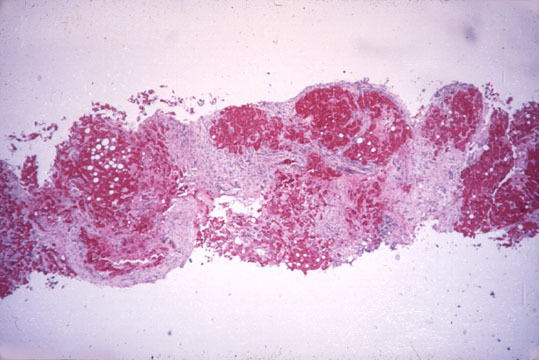 Fig.84 - EARLY CIRRHOSIS: Thin fibrous septa with dissecting nodules. No regenerative nodules. Presence of multiple efferent vessles. (Reticulim stain by silver impregnation). 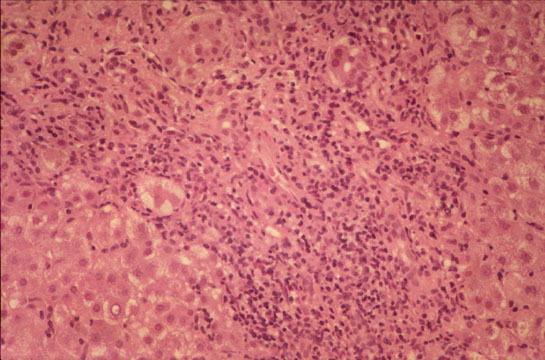 Fig.85 - ADVANCED CIRRHOSIS: Wide scars containing clusters of regenerative hepatocytes. Large scars may contain large portal fields recognizable with a stain for elastic fibers. and parenchymal damage, i.e. : necrosis, cholestasis, dysplasia, malignant transformation. Fig 86 - MALIGNANT TRANSFORMATION: of a regenerative nodule. Notice the capsule, the peripheral zone of the regenerative nodule and the inner zone of hepatocellular carcinoma. Underdiagnosis is more frequent than overdiagnosis due to the frequent absence of regenerative nodules. A pathology report should include the above parameters and known clinical complications. Treatment and prognosis depend on the correct assessment of these paramenters.